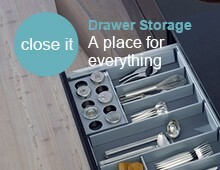 Store up to four large and five small knives for easy access. 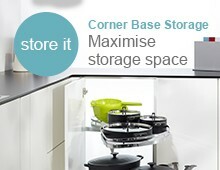 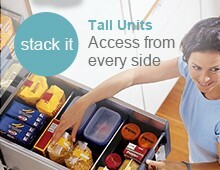 An adjustable handle support provides secure storage. 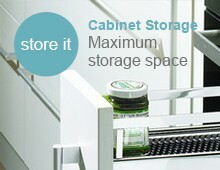 Suitable for cabinet widths from 400mm. 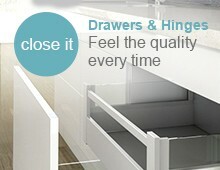 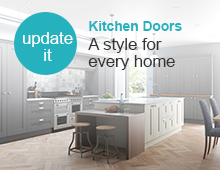 For use within a Blum ORGA-LINE utensil drawer inserts from 600-1000mm or attach to any drawer base with easy removal.